Josh Pastner looks ahead to Year Two. The National Invitation Tournament is over, and Tech basketball’s season is officially finished. That means an exhale, a reset and the gradual run-up to the next season already looming ahead. 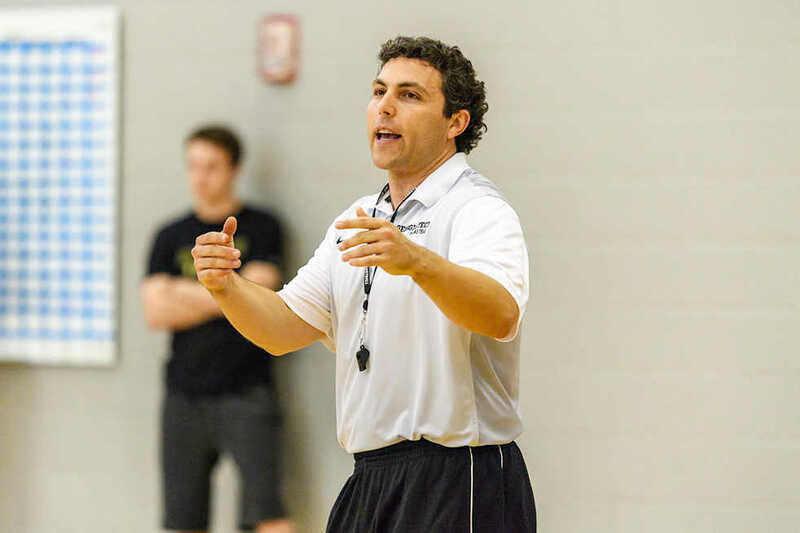 Spend a few minutes with men’s basketball head coach Josh Pastner and it might be fair to wonder whether the season is over at all. His phone buzzes time and time again, vying for his attention vainly. One call, then another. Then a few more for good measure. Over the course of a 20-minute conversation, Pastner’s iPhone may well have blipped twenty times — and that might be a conservative estimate. This is what the offseason looks like for Pastner, his first in Atlanta. That is, if you do not count last year’s, which was a transitionary period for both Pastner, who had to cut ties with Memphis, and Tech, which had to move on from incumbent Brian Gregory. Yet the whirlwind pace — from scouting his own team to identifying flaws in his coaching to making in-house visits with recruits — suits Pastner, whose tenure has been marked by nothing if not energy. While he remains intensely focused on the year ahead, he cannot help but take pride in his team’s performance this year, especially considering the low expectations placed on the group. “Three games stick out in my mind,” Pastner said. One was the team’s win at Virginia Comonwealth after losing two games in a row early in the season. Pastner has never endured a three-game losing streak in his entire head coaching career, and a victory in a hostile environment prevented exactly that. The second was the team’s second-round NIT win over Belmont, which set a team single-season record for home wins. And the last? A win against Pittsburgh on Senior Day, a game that confirmed how far the Jackets had come from season’s beginning. “For the type of year we had, the success we had, the overachievement we had, to beat Pitt on Senior Day,” he says, was a meaningful experience and one hat provided the team’s veteran leadership with an appropriate send-off. Had the Jackets not gotten the chance to host two NIT games, it would have been a fine way to finish the McCamish Pavilion slate. Yet save for perhaps a national championship, there is no such thing as a happy ending in the ACC. Pastner has been liberal in his praise of the conference throughout the season, using its rigor as an unsuccessful argument for Tech’s inclusion in the NCAA Tournament. He even seeks to pattern his program after that of conference rival Notre Dame. Pastner acknowledges that the recruiting environment at an ACC team like Tech is much different than it was in his previous stint at Memphis. While the Tigers were a relatively big fish in the American Athletic Conference’s small pond, Pastner finds himself in the opposite position in Atlanta. “This league is a monster,” he says with a laugh. “There are no nights off, and we’ve got to do a great job — a near-perfect job — on evaluations.” And, of course, it is difficult to evaluate players when the game is so dynamic. The astounding success of Golden State Warriors guard Steph Curry, for example, has inspired a generation of aspiring athletes to take more three-point shots. And an increasing focus on analytics means that there are new performance insights for teams to glean. One of the biggest changes Tech basketball will endure this offseason is the graduation of a number of key players. Dependable starters and role players such as Josh Heath, Quinton Stephens and Corey Heyward will bid farewell to the Flats. And the Jackets, among the youngest teams in the country, will have to find leadership in a number of places. One source would have seemed exceedingly unlikely a year ago: freshman guard Josh Okogie, whose exciting on-court performances will have to be matched by his guiding hand off the court. Josh Pastner is taking advantage of the offseason to critique everything. That includes himself.